Marching band will change your life forever. 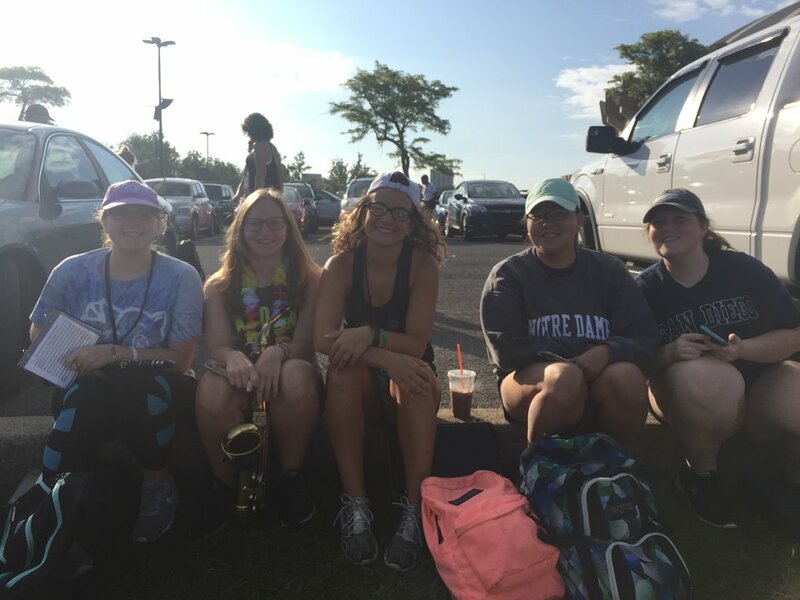 Marching band will give you a group of friends who will be there for the rest of your life. The bond you create with these people is something so unique. It is hard to explain why, but they end up being the people you hang out with and who you stay up texting late at night. I am always passing friends around campus and it always makes my day better when I'm able to just stop and talk to a person for five minutes, even when I'm late to class. Many of the best experiences of my college career have been because of band. 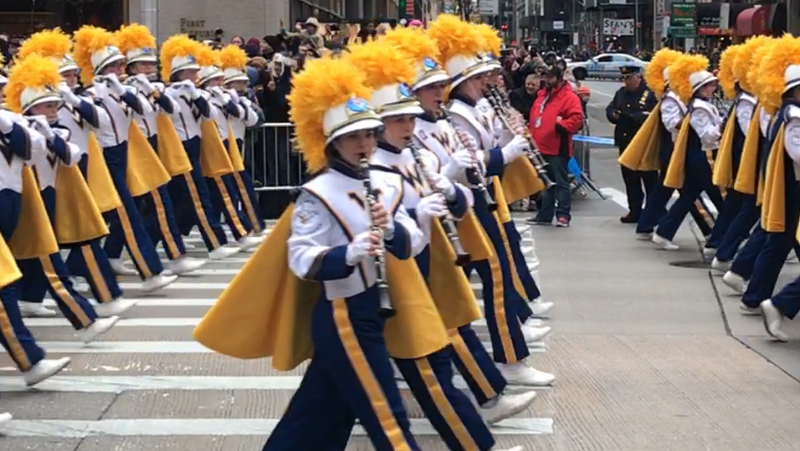 I was able to experience the Macy's Thanksgiving Day Parade in New York City, a trip to Disney World, and a trip to a March Madness tournament in San Diego, California, all because I am able to march and play an instrument. 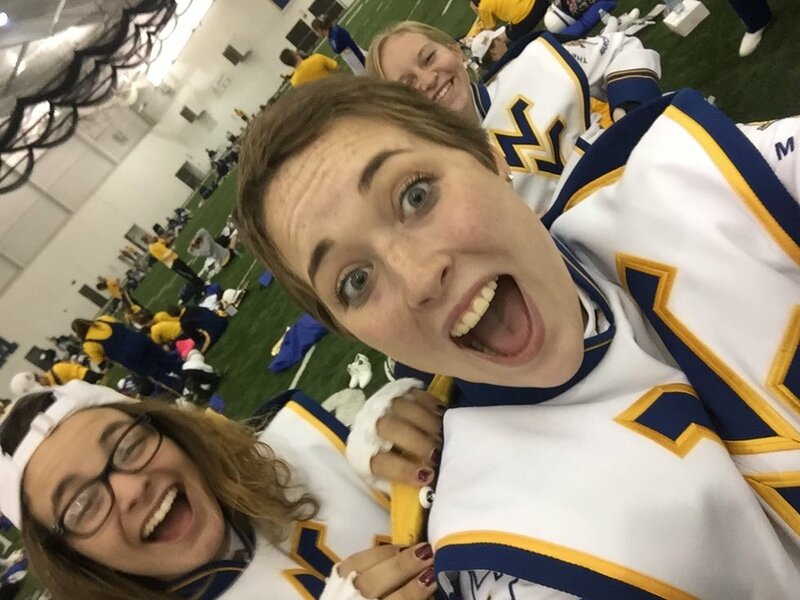 Marching band, especially in college, will provide you many opportunities that you would otherwise miss out on. Through my years in a marching band, I've learned that it's hard not to have leadership skills when you're on the field learning a show with over 350 other people. You have to know what you are doing and how to help those around you to get the performance ready for an audience. These leadership skills will benefit you in all aspects of your life. Especially in college, signing up to be in marching band means that you're also signing up to be busy and to have no free time. 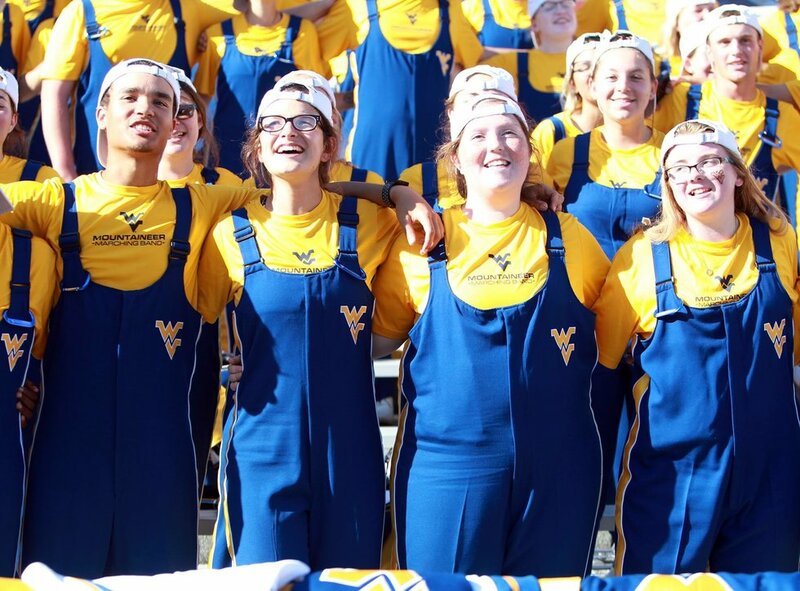 At WVU, the band rehearses four days a week for two hours each day. You're never free on the weekends. Even some weeknights, you're completely booked up. You have to be able to get homework done, attend all practices and performances, maintain friendships, and still get a good education. Marching band teaches you how to juggle everything at once and to still love what you are doing. If it wasn't for marching band, I would not attend the sporting events that I do now. I would have no interest in attending every home football game if I wasn't a part of the band. It's not that I don't have school spirit, that environment just isn't for me. 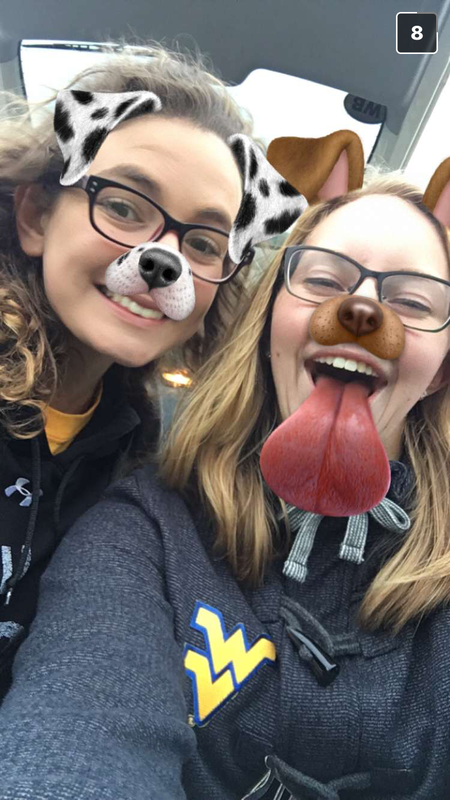 Being a part of the marching band gives me the opportunity to experience football games in a different, more friendly environment and I absolutely love that. If you're going through a hard time or just having a bad day, don't you worry. Just go to band practice and you'll be around plenty of other people who care and want you to be happy. The people in the marching band are either going through the same things as you or have been through them already. They are there to support you through everything and it couldn't get any better than that. For me, going to band practice lets me relax and let go of my problems. It's hard to explain, but when I'm at practice, I am immediately happy, ready to learn drill, and ready to perfect the show that we're about to perform. I love being with the people who I love the most. In conclusion, if you are having a bad day — do not skip band. Go and get the free therapy session you need. It doesn't matter what I have to do or how my day is going — when I'm at band practice, I am automatically a happier and different person. I am able to let go of my problems outside of band. I can be with the people there and accomplish our goal of getting performances ready. It's a huge source of happiness because I love to march, I love to be around the people, and I love the feeling of our hard work coming to life. I don't know about you, but I always feel and look healthier when it's marching band season. I'm forced to be on my feet and walk a lot. I'm getting out of my room and getting a break from homework. Marching band is my workout and when marching season is not in, neither is my exercise. 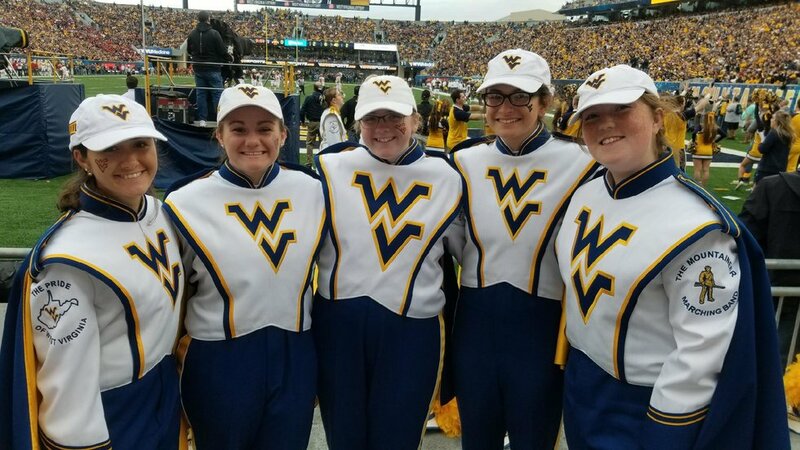 At WVU, we run onto the field for our pregame show, and I can promise that you need to be in shape to run at a tempo of 220 beats per minute and then continue to play your instrument and march. Last but not least, marching band provides you with a FAMILY. The people in marching band are the people that you spend most of your time with. You practice with them, you attend games with them, and you travel with them. After a few weeks of knowing these people, they become your family away from family. They are the ones you bring home on your free weekends, the ones who are always there for a late night adventure, and the ones who are always right by your side through everything. Marching band is a life-changing opportunity that I would recommend to everyone. It has provided me with a support system, lifelong friends, and a purpose in life.